WATCH: 18-year-old shows her parents her new tattoos – their reaction is epic! Usually, when teens get inked without their parent's permission they'll do everything in their power to hide them -- but not Anicia Boler. 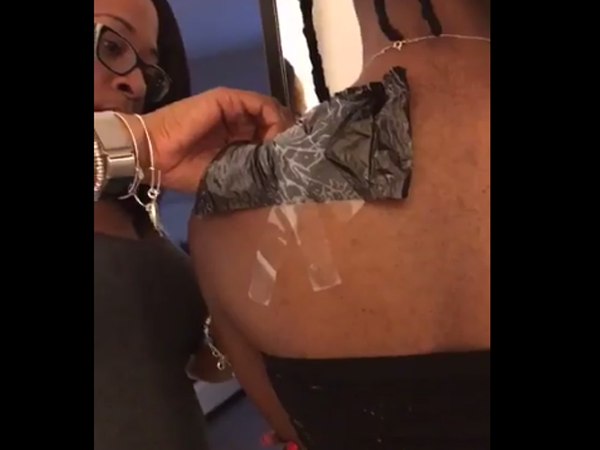 The 18-year-old from Maryland in the US posted a video on Twitter of her parents' reaction to her new shoulder tattoos. Fortunately, the tattoos weren't of obscure Chinese symbols or badly-drawn butterflies -- Anicia got her parents' names permanently etched into her skin. On her left shoulder is her mother's name, Niani, and her dad's name, Harold, is on her right. The video starts off with her mother nervously peeling away the protective dressing covering Anicia's left shoulder. As her name is revealed, she shrieks with joy. Harold stands on his daughter's right-hand side and does the same on the other shoulder. His reaction to his daughter's gesture is just as sweet. Twitter users were shocked by Harold and Niani's joyous reactions and responded by posting memes of what their parents would have done in the same situation.